Driving carelessly and heedlessly in willful or wanton disregard of the rights or safety of others. Driving without due caution and circumspection and at a speed or in a manner so as to endanger or be likely to endanger any person or property. Driving a commercial motor vehicle (i.e. tractor trailer) carrying an oversize or overweight load in a manner described in 1 and/or 2 above. After reading what the law defines to be reckless driving, you may very well still be confused as whether or not you were actually driving reckless. Due to the law’s broad definition, courts have not been successful at describing with particularity what qualifies as reckless driving. However, several cases that courts have considered may be useful in determining whether your driving was actually reckless. Moving from lane to lane to pass slower vehicles in a no passing zone while speeding 82 mph in a 55 mph zone. While impaired, speeding 92 mph in a 45 mph zone. Traveling at speeds greater than 60 mph on a rainy day, crossing double yellow lines, and coming extremely close to hitting an oil tanker. Will I go to jail if convicted of reckless driving? If you are convicted of reckless driving in North Carolina, the judge can sentence you to a maximum of 60 days in jail. How much are the fines for reckless driving in North Carolina? Under N.C.G.S. 15A-1340.23, you may be ordered to pay up to $1,000.00 in fines if you are found guilty of reckless driving. Can my driver's license be suspended if I'm convicted of reckless driving? 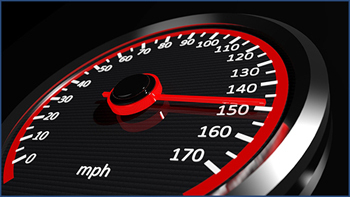 If you have at least one reckless driving conviction and at least one conviction for speeding more than 55 mph, both within a 12-month period, your license could be suspended for a period of 30 days. If you violated the laws against reckless driving and were convicted of either (i) speeding more than 15 mph over the speed limit where the speed was more than 55 mph or (ii) speeding more than 80 mph, your license could be suspended for a period of 60 days. How many points will go on my license for reckless driving? You will likely be assessed four points on your driver’s license. If you accumulate 12 or more points within a three-year period, your license may be suspended. Additionally, if you accumulate eight or more points within the three-year period following the reinstatement of your previously suspended driver’s license, it may again be suspended. Will a reckless driving conviction cause my car insurance premiums to increase? Yes, the North Carolina Department of Insurance Safe Driver Incentive Plan (SDIP) allows your insurance company to increase your insurance premiums by up to 80% if you are convicted of reckless driving. This means that if you currently pay $100 per month for car insurance, the SDIP allows your insurance company to increase your monthly premiums to $180 per month. What defenses can I raise against my reckless driving charge? There are a number of ways to fight a reckless driving charge, some of which include using information from your speedometer or GPS, the location in which you were charged, and whether or not your constitutional rights were violated when the cop pulled you over. If you have been charged with reckless driving, which is considered a Class 2 misdemeanor, it is imperative that you contact our experienced traffic defense attorneys to help you receive the most favorable outcome possible.